Before reading this, go check out the first Deus Ex Dustin' Off feature if you haven't already, to read about a good game, otherwise this one will leave you with a bad opinion on an otherwise great series. 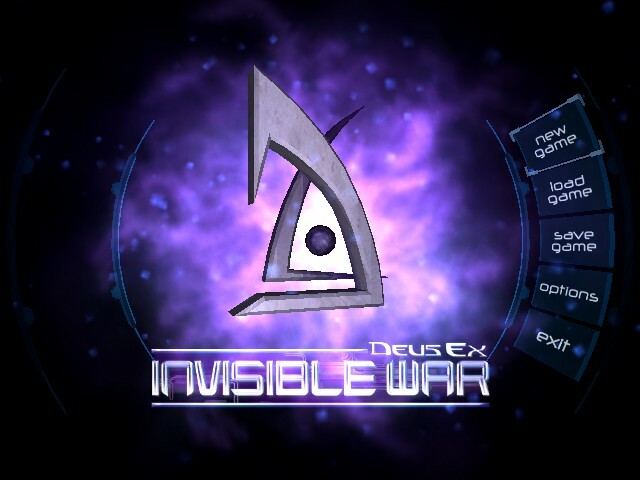 Although this feature; Dustin' Off is where we the writers go back to old game we have fond memories off and talk about why we loved them, I have never played Deus Ex: Invisible War for an extensive period of time because I heard about how bad it was. However, for the sake of this feature and the series, I will play the first level and give my thoughts on it in the style of a review. Deus Ex: Invisible War takes place twenty years after the first game, and takes the moral and personal choice that you make at the end of the first game on how you want the world to change. This is a choice that I spent a long time sat on the pause screen, weighing up the pros and cons of each, before finally deciding on what to do. Deus Ex: Invisible War decides that your choice doesn't matter, and they're all canon. You play as Alex Denton; spoiler alert, you are the third Denton clone that can be seen in Area 51 in a growing cell, during the first game. Like the previous two Denton clones, you are also augmented, allowing you to perform impossible feats of strength, speed and have flash lights for eyes. 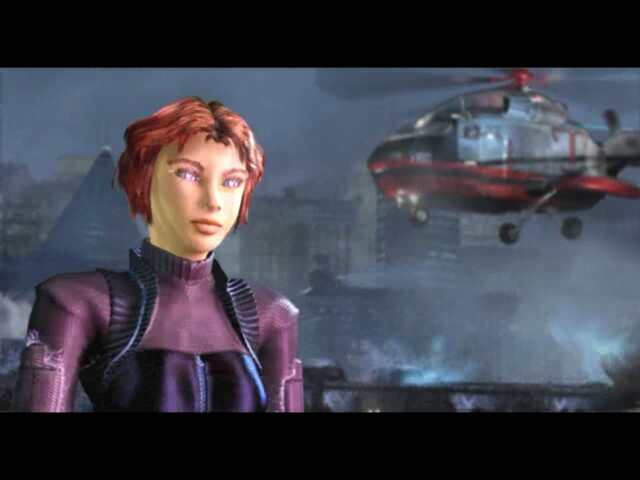 You are able to pick a female or male character in this game due to Alex being a gender neutral name, unlike JC Denton who's name was supposed to be a subtle Bible reference for Jesus Christ, referring to how he ushered in a new age of technological advancements from which he was the creator. Look at that those authentic 2003 graphics. At the time, the game was praised for it's graphics and cut-scenes, however looking at them now they look worse than something a college student could make in Sketch Up. The voice acting throughout the game is terrible, as many of the voices don't suit any of the characters, often delivered flat with little emotion. The opening cut scene itself was hard to sit through because of this, although I don't think there is any reason to sit through it at all, as it doesn't explain any of the plot that's happened in the last twenty years. Leaving you blind. There's no other way to describe the AI in the game other than terrible. The enemies wander around repeating the same lines of dialogue every few seconds and the only way to shut them up is to kill them which is itself a task, due to the dreadful shooting. In the first game the accuracy of your weapons was based on your skill in that weapon class, in Invisible War they removed the skill feature entirely and made every weapon handle the same. Awfully; a shot to the head does not kill an enemy and there is no clear indication where your health is, causing many, many deaths. The opening area is extremely linear and even the open world area, Upper Seattle is a series of narrow hallways with loading screens between each area. It does not feel like a Deus Ex game. A Deus Ex game is supposed to have big open world areas that you can explore for secrets and plan your approach to the objectives, Invisible War does not have this, which makes me feel sad. Playing through just the first level was hard; it was like a car crash, I just couldn't look away. From the dummy like stature of the NPC's, to the terrible level design where large rooms and hallways would lead to nowhere, it felt like a grind just to get through. There is a reason Deus Ex: Invisible War is often forgotten, or brushed under the mat by fans of the series; it's simple, and that's the easiest way to describe it. Deus Ex games are supposed to be complicated, something that not anyone can pick up and play casually and it feels like they tried to make Invisible War just that. With the removal of features like the skill tree and the awful UI, it makes it hard to play and enjoy; I often found myself confused how to switch a weapon from the tiny inventory screen that had seven pistols taking up most of the space. Deus Ex: Invisble War could have been a great addition to the series. I've read the plot and the branching storylines online and it seems really interesting, something that stays true to the Deus Ex story, but the game itself is just bad. I would like to one day complete the game just to say I've experienced the dreadfulness that it is, but that would only be possible in small doses, that way I won't want to destroy my hard drive and any traces of this game ever existing. Deus Ex. The first game in the series and one of the best PC games of all time. Deux Ex: Human Revolution. The prequel and re-birth to the series.